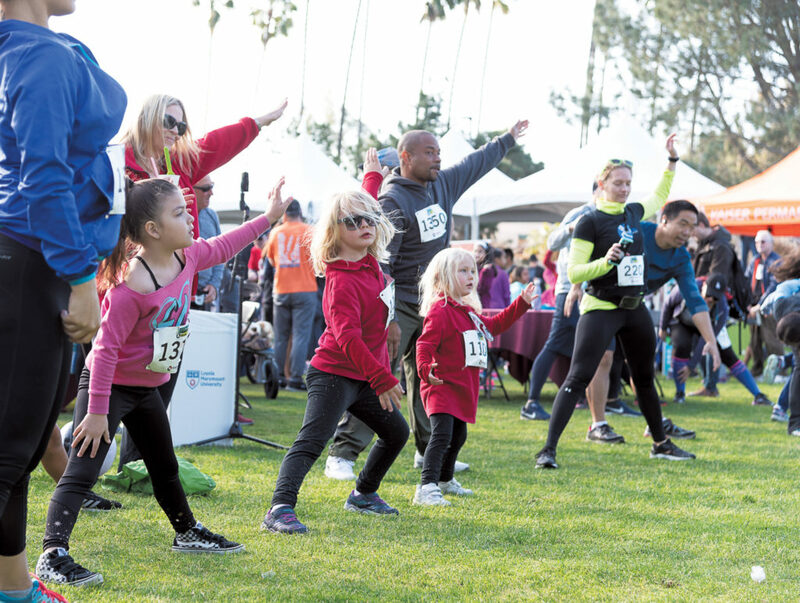 More than 2,000 families, students and community members came out to support local schools at the LAX Coastal Education Foundation’s (LAXCEF) 2nd Annual Rock Roll & Run in collaboration with Loyola Marymount University on Saturday, March 9. 1K runners start the race. 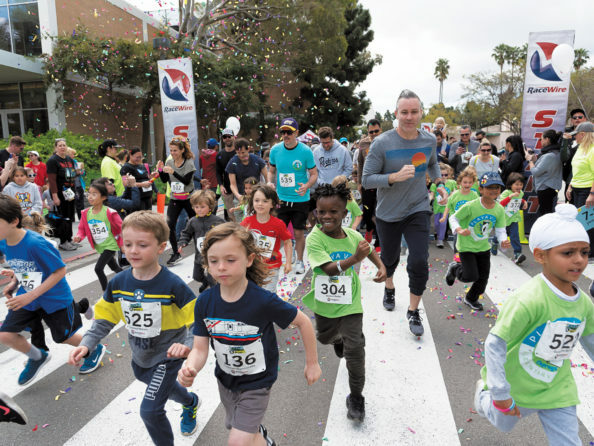 The event raised funds for 21 participating K-12 schools and featured a 5K run around the beautiful campus of LMU, a 1K kid’s race and a lively expo. More than 40 community organizations, businesses and sponsors had booths at the event, which featured free food, a photo booth, arts & crafts, kids’ activities and giveaways, while music from classic rock tribute band Ab-soul-ute played in the background. The Rock Roll & Run is the ed foundation’s premier fundraiser and is the only event that brings together all interested local schools for a chance to raise money for programs like P.E., art and field trips. Runners warm up before the 5K at LMU. 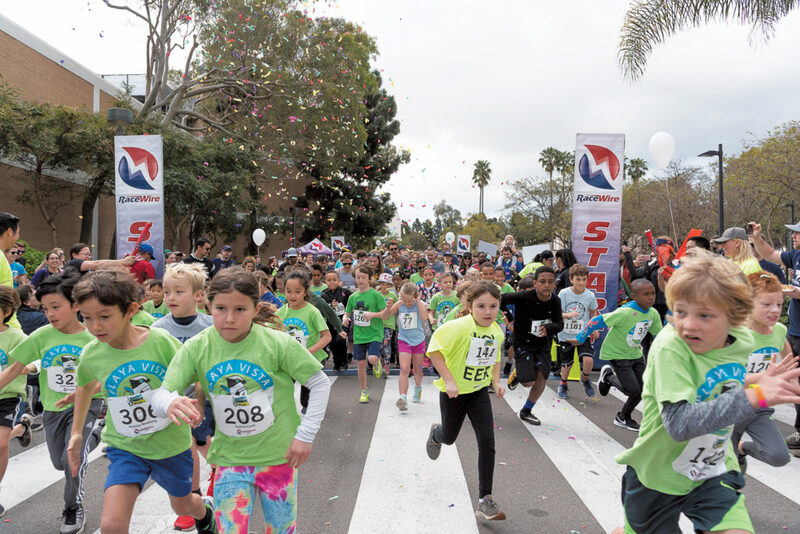 The foundation, which launched in 2017, supports all local schools–public, private, charter and parochial–in the Westchester, Playa del Rey, Playa Vista and Marina del Rey areas. The foundation’s primary goals include aiding schools through fundraising, distributing grants and creating strategic partnerships. Since its inception, the foundation has given back more than $165,000 to local schools in direct funds and grants. Most recently, $15,000 in arts and beautification grants were awarded to nine schools. The foundation is kicking off the spring season accepting applications for STEM grants in partnership with SoCalGas and will announce literacy and teacher development grants in the coming months. LAXCEF also supports the Teacher Eddy Awards, Teacher Mini-Grants, hosts the School Expo and is always looking for partners to collaborate with for future projects. For more information, please visit laxcef.org or email info@laxcoastaledfoundation.com. Check out page 22-23 of the April HomeTown News for more photos from the race! Posted April 2019. Photos by Zsuzsi Steiner.